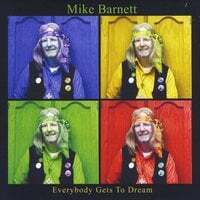 Mike Barnett-Everybody Gets to Dream. Mike Barnett has been entertaining us for the last several years with his brand of George Harrison/Traveling Wilburys-style pop/rock, and on his latest he finds a kindred spirit in producer Salim Nourallah, whose Hit Parade was my favorite album of 2012 and was itself a Beatlesque tour de force. Nourallah applies his sonic flourishes to Barnett's heretofore low-fi sound and the result is Barnett's best album to date. Opener "Who Loves You Blue?" is a nod to Harrison himself, both in the title and with Barnett's use of slide guitar, "I Could Fall" and "Late at Night" benefit from the Nourallah production with some jaunty keyboard use, while the title track is one of Barnett's most contemplative and sublime tracks. There isn't a bad track here, and the lovely piece of chamber pop "To You" closes things out with a smile on your face. Don't miss out on this one. 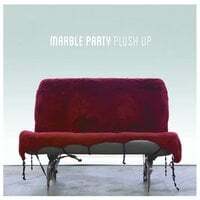 Marble Party-Plush Up. Marble Party is a San Francisco band with a power pop sound that's both modern and retro. The driving lid-lifter "Afterglow" aligns them with the Weezers of the world, "About Her" channels Squeeze and the extraordinary "Song from the Coast" with its tinges of psychedelia recalls The Beatles by way of The Red Button. Never afraid to genre-hop, they turn to country rock to fine results on "Stuck in the Middle", complete with steel guitar, and close things out with the piano-based Jellyfish-esque "Prove Me Wrong". Showing a clever mastery of various power pop styles, Marble Party is one of my favorite finds of 2014 to date. Power pop on Amazon Prime. 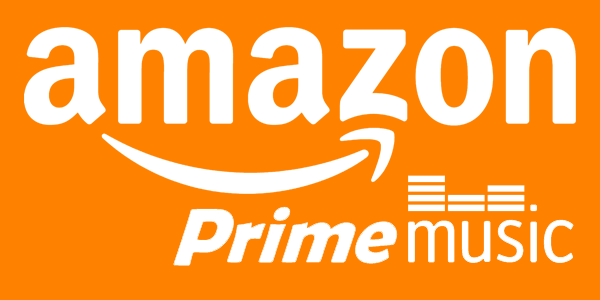 Last week Amazon added a music streaming component to their Prime membership program. For those who already subscribe to a service like Spotify or Rdio or Beats, Prime Music is nothing impressive, given it contains about 5-10% of the number of tracks offered by those services. But for those like me who already have an Amazon Prime membership but don't subscribe to one of the established services, it's a nice add-on that you're not paying extra for. But what makes it a little tough to use is that there's no real good way to find out which artists/albums/songs it carries without checking them individually to see if they can be added to your Prime library. So in that spirit, and to help out those who have Prime and are power pop fans, I've compiled a list of power pop that I've found available for streaming on the service. By no means is this list exhaustive, and there are some quirks in that sometimes full albums are available but in other instances only certain songs from an album is available. Anywhere, here's what I have so far in the realm of contemporary power pop with some other notables included. If you know of some others, please mention them in the comments. Apples in Stereo - most of their catalog prior to their two most recent releases. Includes the #1 Hits Explosion comp. Ben Folds/Ben Folds Five - Rockin' the Suburbs, Whatever and Ever Amen, The Sound of the Life of the Mind, Live, most of the Best Imitation comp. 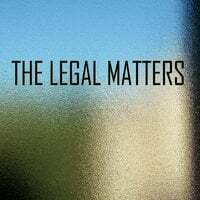 The Legal Matters-The Legal Matters. Some of my favorite power pop over the last decade has come from the Detroit area, be it Chris Richards or Andy Reed (solo and as An American Underdog) or Nick Piunti. So it's great to see them team up as the "supergroup" The Legal Matters. Richards, Reed and Keith Klingensmith make up the core of the group, with Piunti adding some of his fine guitar work. The results are as you'd expect: one power pop gem after another, from Richards shining on the opener "Rite of Spring" (pure midtempo melodic bliss) to Reed on the George Harrisonesque "Have You Changed Your Mind?" to the three-part harmony of the ballad "Mary Anne". Often supergroups turn out to be a disappointment, but these guys are at the very least the sum of their parts and definite year-end list contenders. 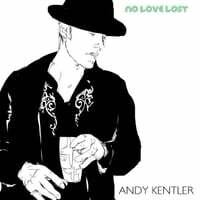 Andy Kentler-No Love Lost. Andy Kentler hails from Down Under and before No Love Lost had one solo album to his name in 2004, so he isn't exactly a household name in the power pop community. But after coming across this album, maybe he should be. His music is a fusion of Tom Petty, The Kinks and Big Star and there are plenty of standout tracks here. "Gettin' on Home" opens the album in Petty style, tough and melodic. "Big Hits & Misses" is brash, radio-ready power pop with a big hooky chorus, and "Marnie & Stan" tells the story of a couple of the run in rocking fashion (with "ooh-la-la-la" backing vocals). Kentler saves the best for the latter part of the album, with "Walk Out on Me" pure power pop in the vein of the aforementioned Chris Richards, and the catchy "Nobody's Fool" closing things out. Quick notes on new stuff. New Hot Nun single! Jeff Shelton and the guys (including the legendary Nash T. Habit) are back with a new single by way of follow-up to last year's rocking good album. 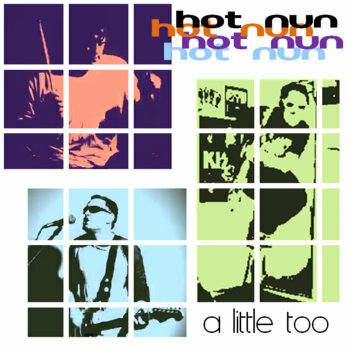 This one's called "A Little Too" and can be found on Bandcamp.